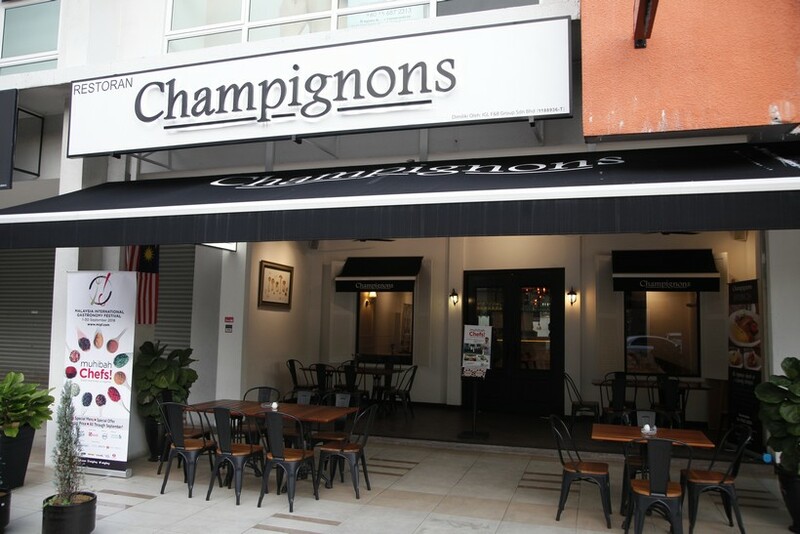 A cosy Oasis Square restaurant that is a relative newcomer to the KL gastronomy scene, Champignons has certainly been exhibiting a great capacity to grow. In its maiden participation in MIGF, Champignons embraces the Festival theme this year, ‘Muhibah Chefs! Good Food Brings Us Together!’, to a T, showing those who walk through its doors how true these words are. 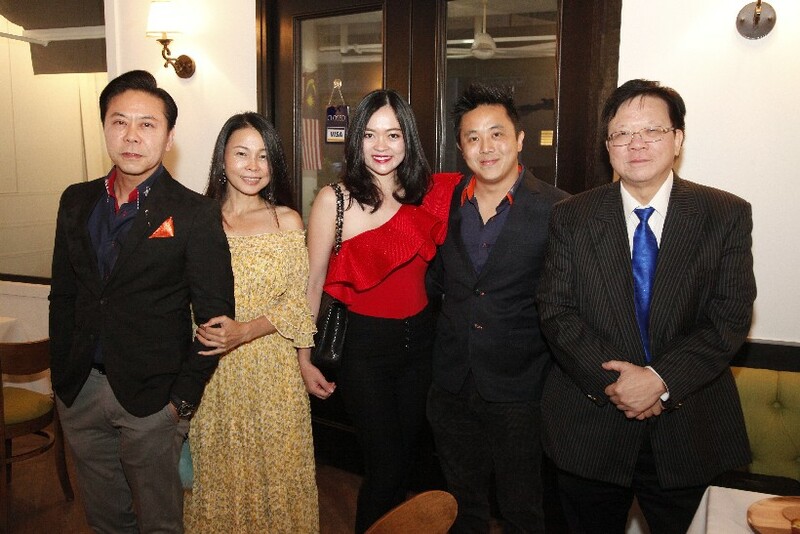 Experiencing first-hand Owner-and-Chef Gary Chang’s passion for cooking and his belief that great nosh is a glue that unites people were guests attending the MIGF publicity dinner hosted at his restaurant. Pulling up to Champignons’ entrance were some distinguished individuals, including Adviser to Amanti Della Cucina Malaysia Dato’ Kok Wee Kiat, Executive Vice President – Asia Region of Co-Ro Foods Soren Ravn, Managing Director of LIC Industries Sdn Bhd Dato’ Sri Jackie Tor and Executive Director of Wawasan TKH Sdn Bhd Dato’ Tan Hoe Pin. 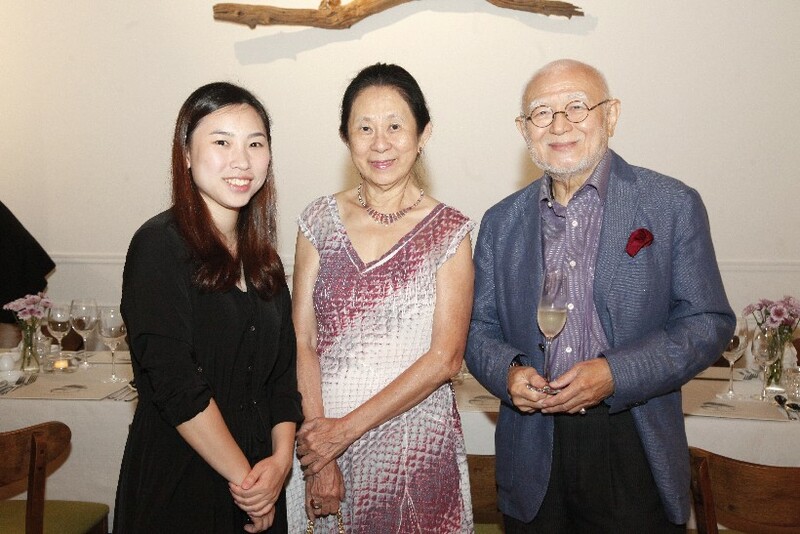 Trays of canapés and drinks were conveyed out as these esteemed members of society took in the understated elegance of the restaurant in between their chats, noting Champignons’ eponymous signature ingredient on various pieces of décor – from vases on a table to a piece of driftwood on the wall. French for mushroom, Champignons advertises the influential fungus in a subtle, yet noticeable manner! 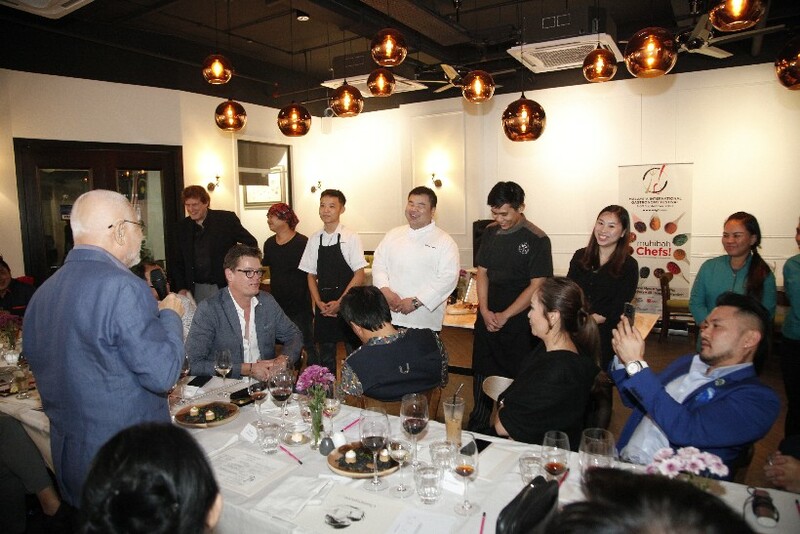 As the collective appetite peaked, MIGF Organising Chairman Dato’ Steve Day motioned the crowd to find their places at the table, but not before coaxing a few words from Chef Gary. 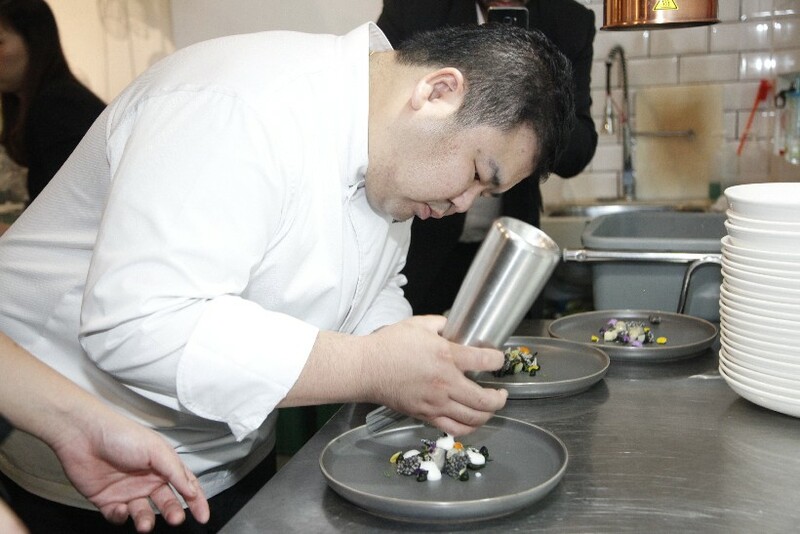 Promising a satisfying five-course dinner, the amiable chef, who specialises in Modern European cuisine, provided a brief description of each dish before disappearing back into the kitchen to weave his magic. 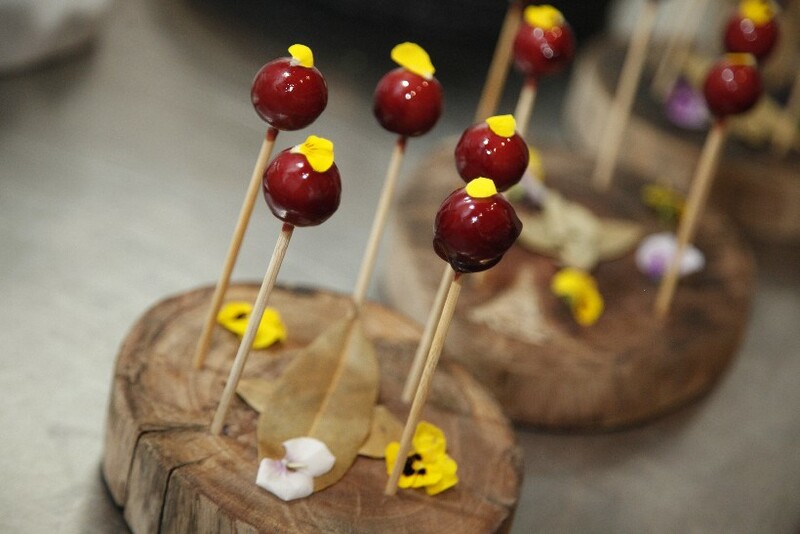 The first item on Chef Gary’s Festival menu to be brought to the table was Foie Gras Lollipop with Sour Cherry Jelly. The diners’ eyes widened in amazement as this Amuse Bouche was laid on the table, for its presentation was the epitome of unique. Literal lollipops stuck on a circular block of wood, they brought to mind not just childhood fun but a resemblance to tall mushrooms sprouting on a log. 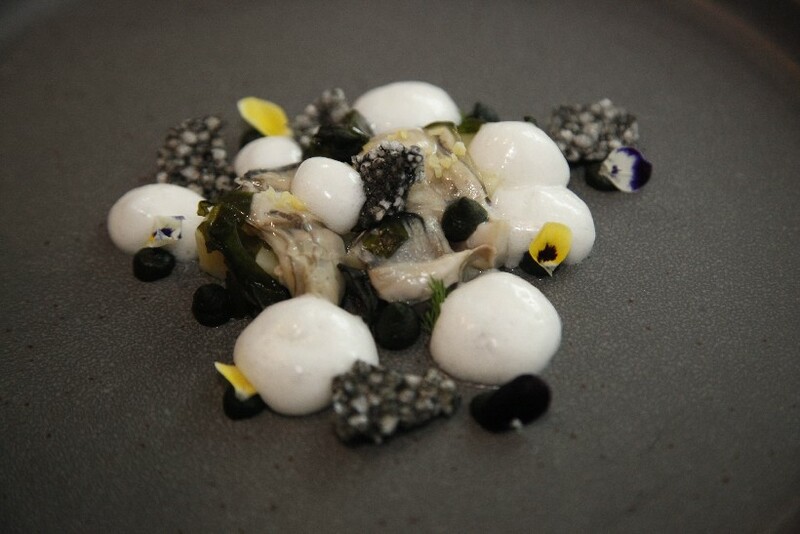 Pursuing this was the starter that also delighted the eyes; Light Poached Oyster featuring Seaweed and Seawater Foam. Apart from adding visual flair, the foam bestowed a nice briny tinge to the oyster. 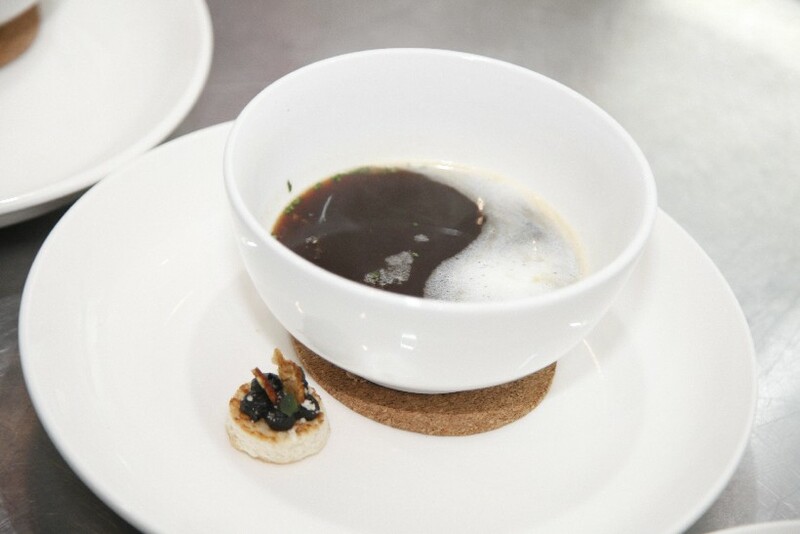 Bowls of French Onion Soup, accompanied by Gruyère Cheese and Charcoal Onion Puree, came from the kitchen next, a more traditional aspect of the menu that offered a sense of familiarity. 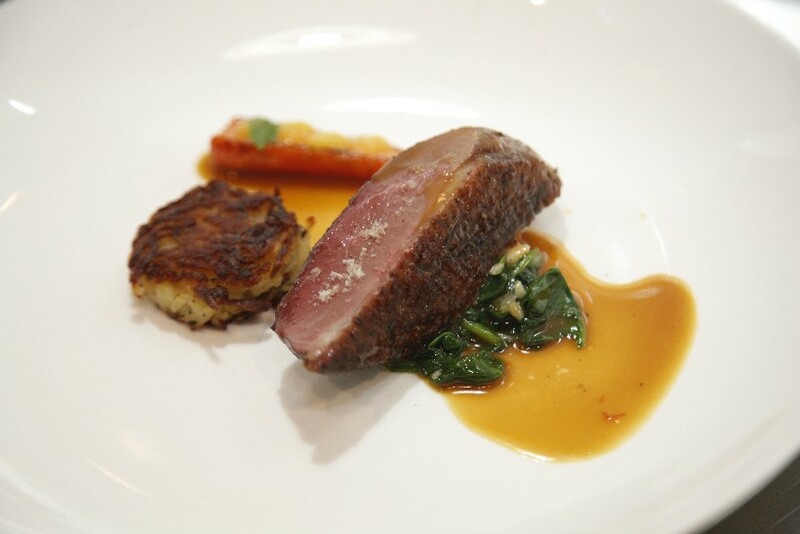 To the tune of “oohs and aahs” from the guests, the main course, Seared Duck Breast Roasted Carrot amidst Coriander, Rösti Potato and Orange Sauce was then presented to the table. Stunning from the first bite, it got the party heaping rave reviews upon it. 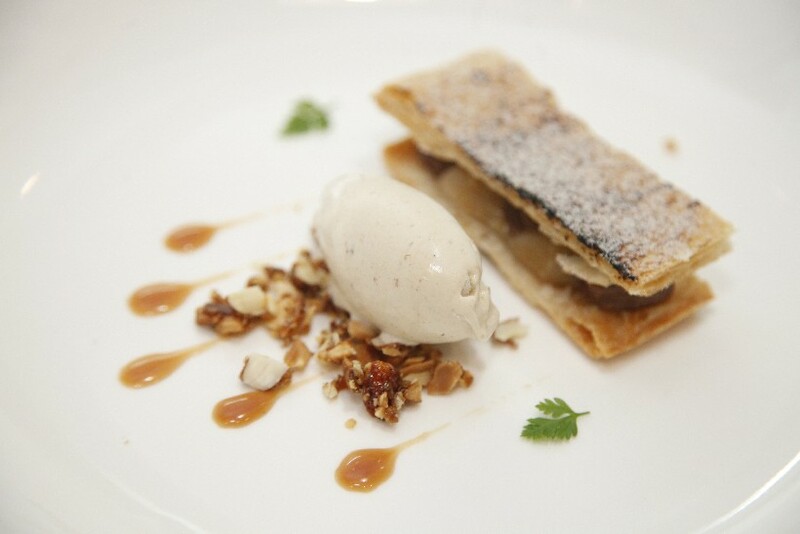 Dessert came in the form of lip-smacking Caramelised Banana with Cepe Mushroom, Milk Chocolate Mousse and Cepe Mushroom Ice Cream, closing the menu with panache. 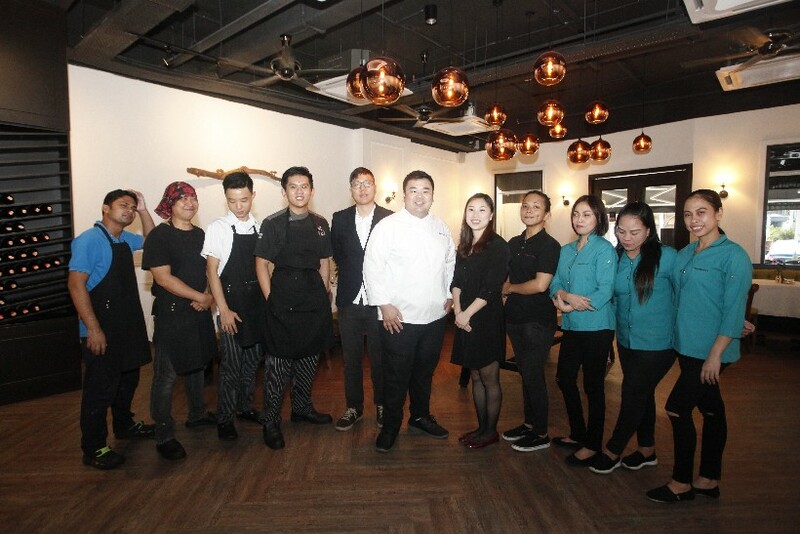 After cups of coffee and tea found their way to the hands of the guests, Dato’ Steve drew everyone’s attention to Chef Gary, his wife Grace, and his crew, before thanking the Champignons team for a wonderful dinner. 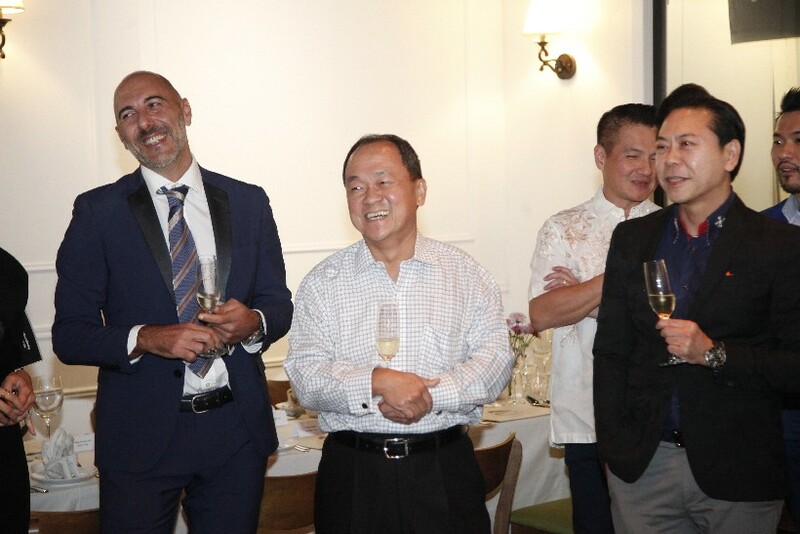 Dato’ Kok then delivered his sentiments on behalf of the dining group, commending the ingredients, thought and effort that went into each delicious dish, while underlining the Festival menu’s value for money. 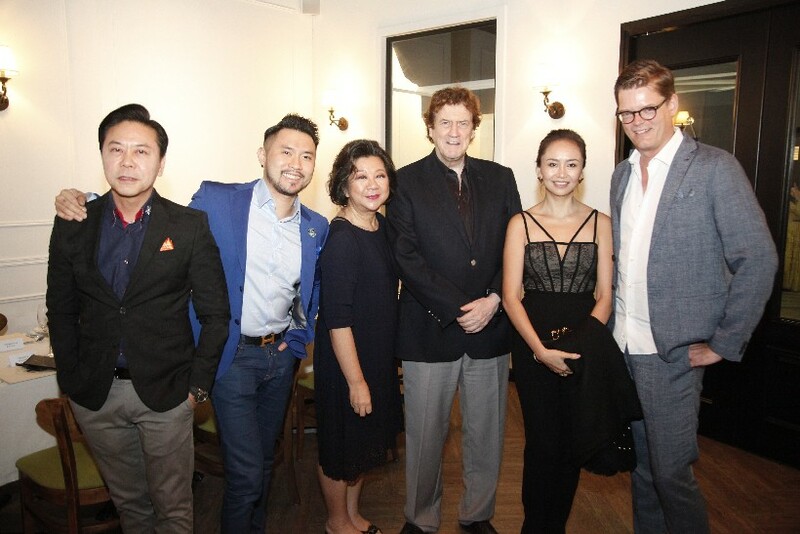 His summation for the evening was heartily echoed by fellow diners Mr Ravn and musician Dennis Lau, who added that Champignons is a true hidden gem. 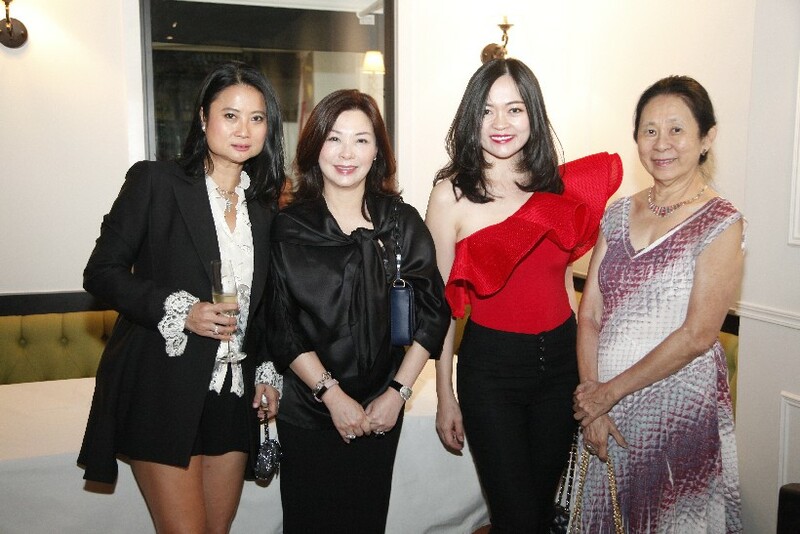 The Full Festival Menu at Champignons costs RM188++ per person without wine and RM248++ per person with wine. 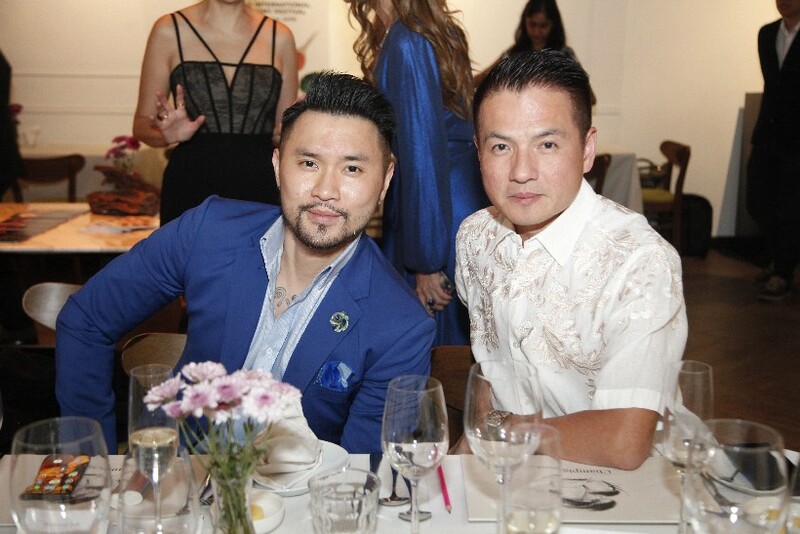 Click here to read more about the restaurant, Chef Gary and the Festival menu.